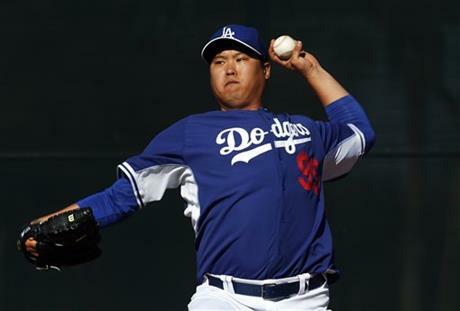 Hyun-Jin Ryu has debridement procedure on left elbow. Dodgers pitcher Hyun-Jin Ryu had an arthroscopic left elbow debridement today, performed by team physician Dr. Neal ElAttrache in Los Angeles. The team says he is expected to be ready for next season. Ryu missed all of last season, and was limited to one start this year, while recovering from shoulder labrum surgery performed in April 2015. The 29-year-old left-hander has a 28-16 record and a 3.28 ERA in 57 career starts with the Dodgers. This entry was posted in Breaking news, JP on the Dodgers and tagged Hyun-Jin Ryu by J.P. Hoornstra. Bookmark the permalink.